Which DC comic book am I most looking forward to reading? I am largely unimpressed with the selection of comic books headed our way from DC. 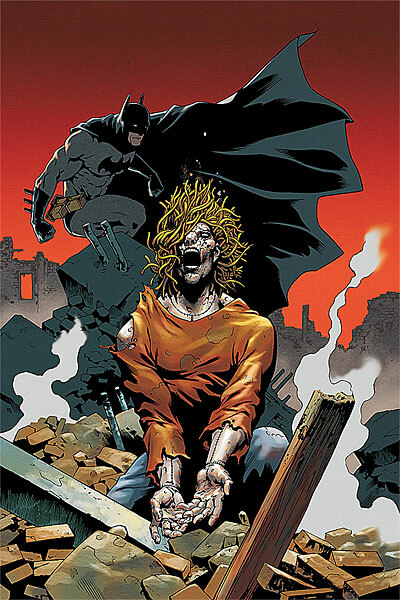 There really is only one DC issue that I am really looking forward to reading. That would be The Brave and the Bold #29. JMS has done an excellent job with his first two issues on this title. I have been pleasantly surprised with what JMS has given to us on this title. I was honestly not expecting such great reads from JMS on The Brave and the Bold. JMS has demonstrated a true skill in crafting compressed and technically well crafted one shot issues. For readers who like to get a nice self-contained story in just one issue should certainly give JMS’ Brave and the Bold a try. Also, this issue sports the return of Brother Power. Wow, I never thought that would happen. Brother Power the Geek is a hippie psychedelic character. Brother Power the Geek was created by Joe Simon and first appeared in Brother Power the Geek #1 in 1968. 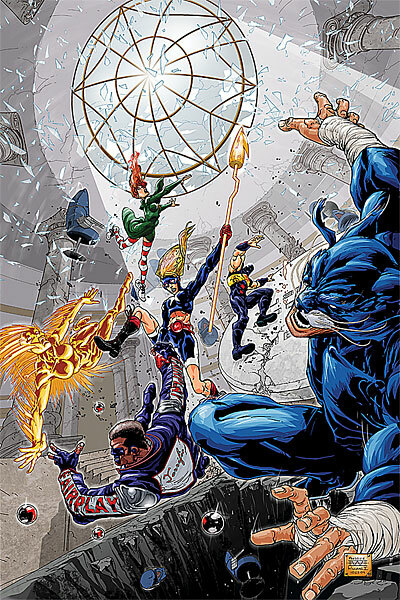 Brother Power’s title was cancelled after the first two issues. Brother Power only made a couple of brief appearances since then. In the 1990’s he surfaced in a Swamp Thing story and then again in a John Constantine graphic novel. I am curious to see how JMS handles Brother Power’s character. I am impressed that JMS searched deep into DC’s continuity to find such an obscure and odd character to insert into Brave and the Bold. I would not mind if JMS continued this trend of using lesser known characters to appear in the Brave and the Bold. Which DC comic book am I least looking forward to reading? I have little to no interest at all in Adventure Comics #4. The main story involving Superboy has been slow, thin and relatively boring. The back-up stories involving the Legion of Super Heroes have lacked any and all content and have been largely nothing more than fluff. 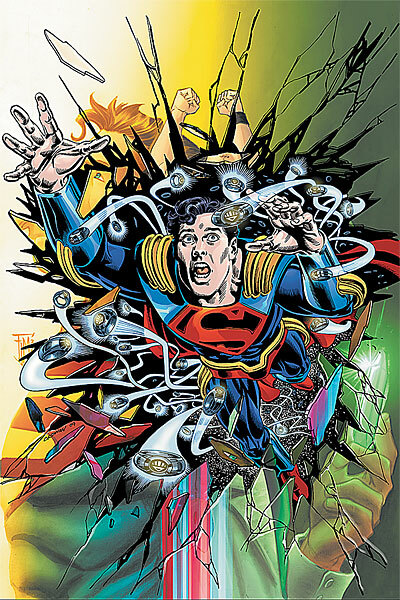 Add to that the fact that Adventure Comics #4 features the return of the most annoying comic book character in the DCU, Superboy-Prime, and my interest in this issue plummets even further. Adventure Comics #4 is also a Blackest Night tie-in issue. And there have not been that many Blackest Night tie-in issues that I have found particularly impressive. Justice Society of America #1 80 Page Giant seems more like filler than anything else. This issue features seven different stories by seven different creative teams. I rarely enjoy these anthology styled issues. Also, this issue focuses on the newer members of the JSA. Unfortunately for me, I find most of the newer members of the JSA to be rather uninteresting and lame characters. In general, my interest in the Justice Society of America has greatly flagged since Johns left the title and I am having a hard time getting excited for anything related to the JSA. I cannot say that I am all that excited to read The Flash: Rebirth #5. And I’m a Barry Allen fan. The fact is that this story has been slow and plodding. The horrendous shipping schedule has only served to make this decompressed story seem even slower than it actually is. 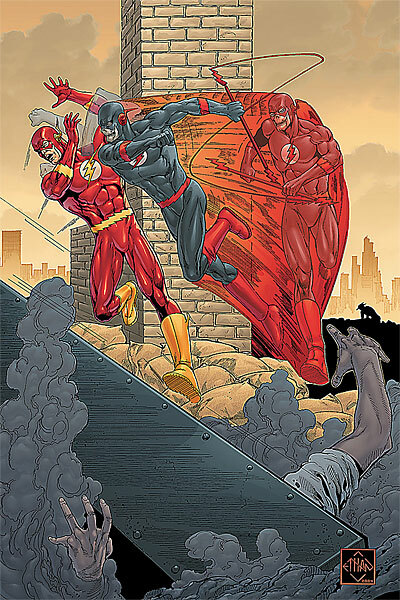 The last issue of Flash: Rebirth came out August 26. That was almost three months ago. That is simply inexcusable and these kind of delays only serve to kill whatever limited I already had in this story. I do not expect much from The Outsiders #24. This is a title without an identity and a team without a clear purpose. The fact that DiDio is slated to take over this title only makes me realize that it is probably time that I dropped this title from my permanent pull list. Which Marvel comic book am I most looking forward to reading? I am much more excited about the selection of comic books that we are getting from the House of Ideas this week than I am about the titles from DC. I am getting two sweet hardcovers today. The first is the Destroyer HC Premiere Edition. I loved Robert Kirkman’s Destroyer. It was a wildly entertaining and action packed story. If you missed out on Destroyer the first time around then definitely do yourself a favor and pick up the Destroyer HC. Action fans will not be disappointed. The second hardcover is the War of Kings Omnibus. 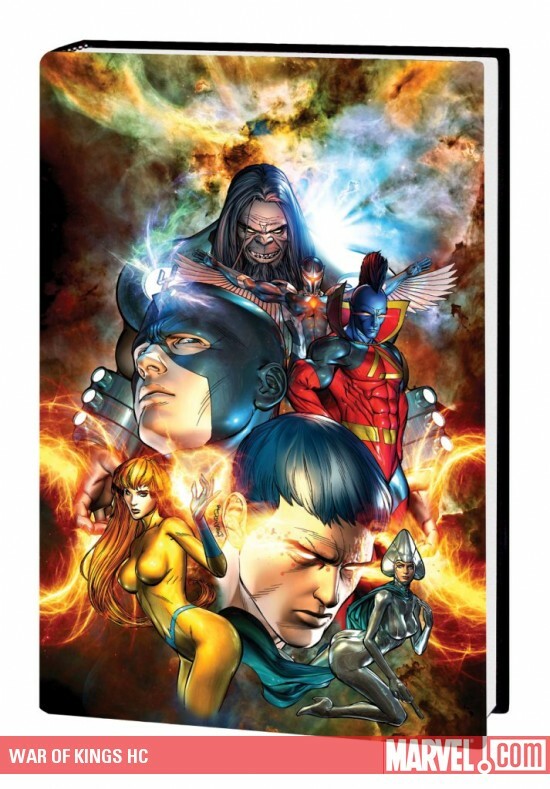 This colossal hardcover is oversized and weighs in at 432 pages! It covers War of Kings #1-6, War of Kings: Ascension #1-4, War of Kings: Darkhawk #1-2, War of Kings: Warriors, War of Kings: Who Will Rule?, War of Kings: Savage World of Sakaar and Marvel Spotlight: War of Kings. 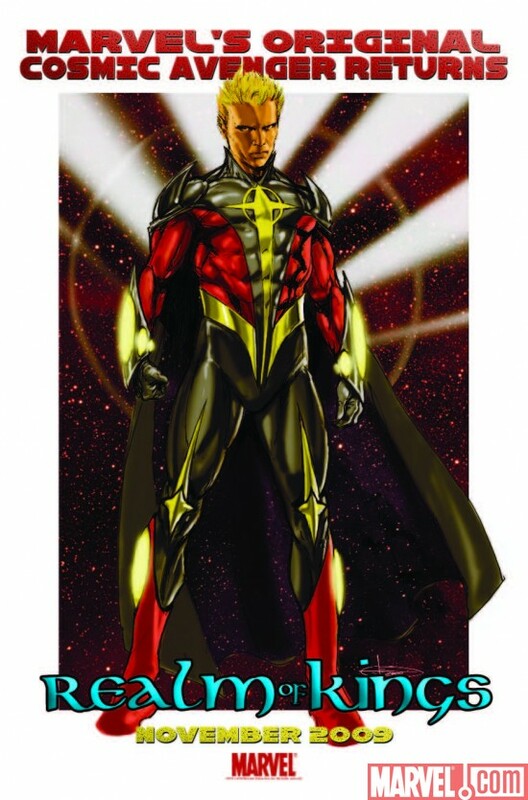 I am a huge fan of DnA’s work with Marvel’s cosmic characters and I enjoyed DnA’s cosmic saga in War of Kings. This hardcover is a definite must have for fans of War of Kings. If you dig sci-fi stories with plenty of classic epic themes of politics and royal intrigue as well as plenty of drama and a good amount of action then give this War of Kings Omnibus a try. I expect Mighty Avengers #31 to be a solid read. This title has not been spectacular, but it certainly has been the most entertaining of the three Avengers titles currently on the market. 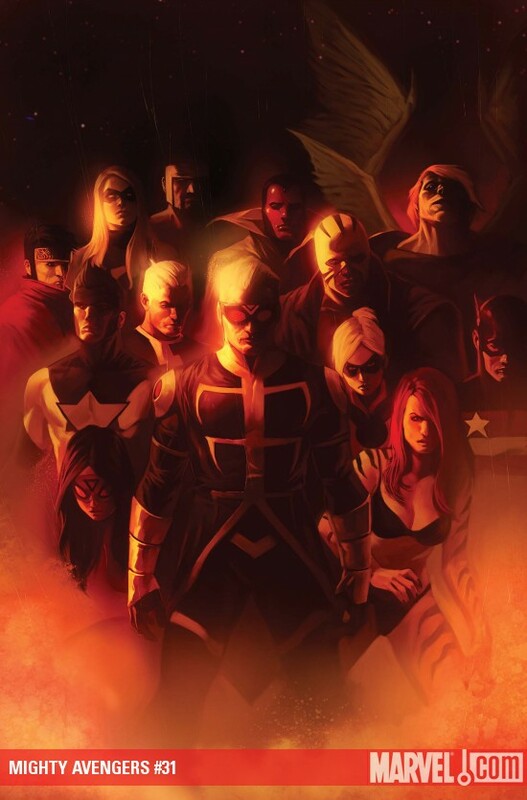 Mighty Avengers #31 is the conclusion of this current story arc that involves members from the New Avengers, Young Avengers, Avengers Resistance and the Mighty Avengers. This should be an action packed and exciting read. I decided to add Thunderbolts back to my pull list with the arrival of the new creative team of Jeff Parker and Miguel Angel Sepulveda with Thunderbolts #138. 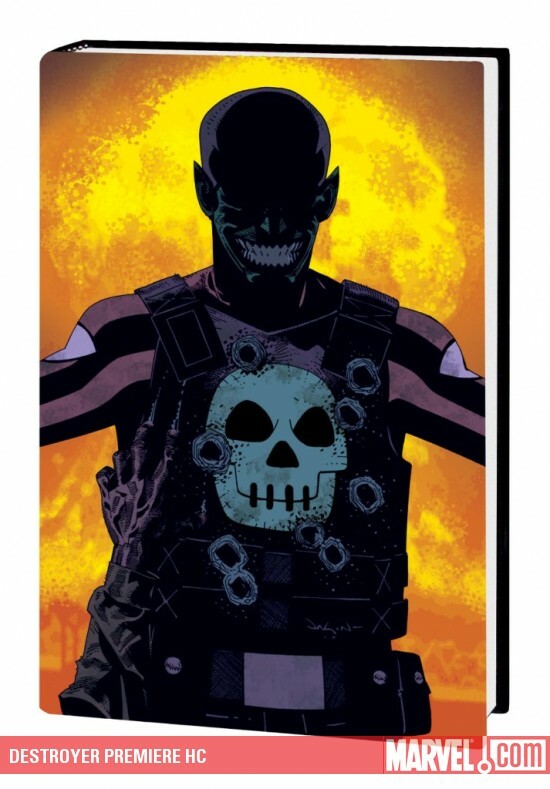 I am a fan of Parker’s work and am willing to give this title a try and see if Parker can hook me into giving Thunderbolts a permanent spot on The Revolution’s pull list. 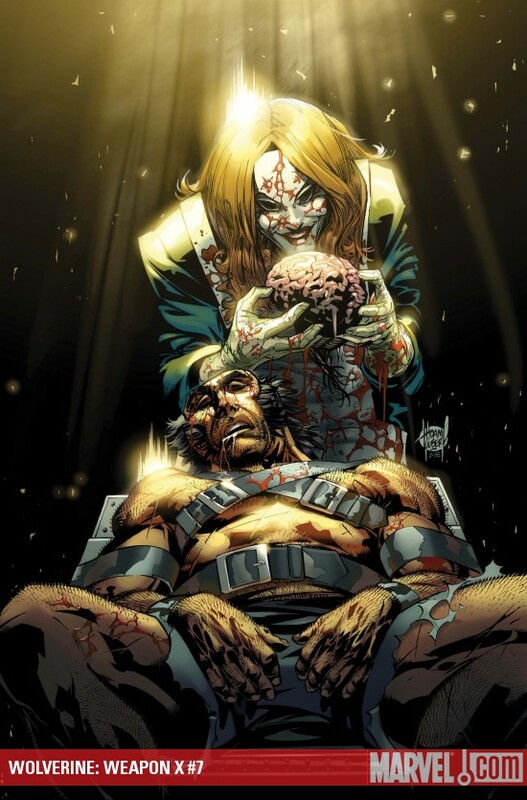 Wolverine: Weapon X #7 should be a good read. Shawn absolutely hated this story that began in the last issue. Me? I loved it. Yeah, it is totally off the wall and completely bizarre. It has nothing at all to do with Wolverine or his past. But, that is exactly why I like it. Not every story has to be steeped in continuity. Not every story has to be of a typical genre that the starring character normally stars in. 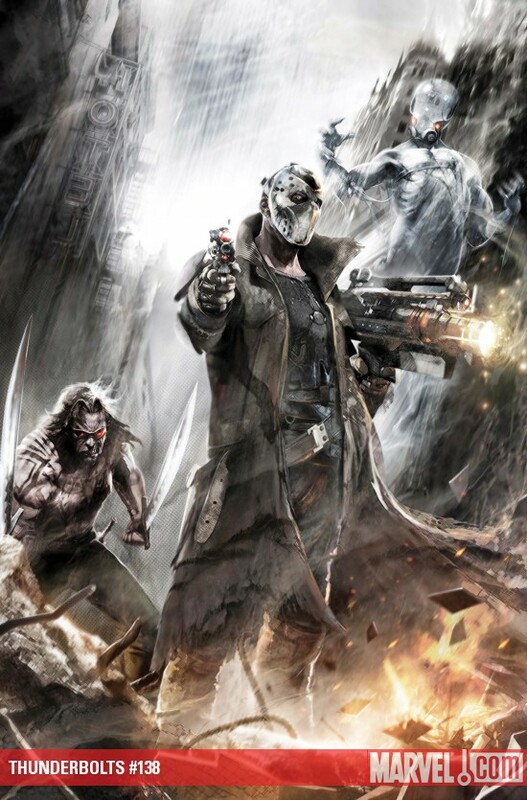 Aaron is giving the reader a creepy and bizarre read that is much different than what you are getting with the other titles sporting Wolverine as a main character. Horror fans should probably give this issue a chance. I am excited to read Realm of Kings: Inhumans #1. DnA have done an incredible job breathing new life into the moribund Inhumans franchise. The Inhumans are fantastic Stan Lee and Jack Kirby characters who deserve better than they had gotten before DnA took over handling them. 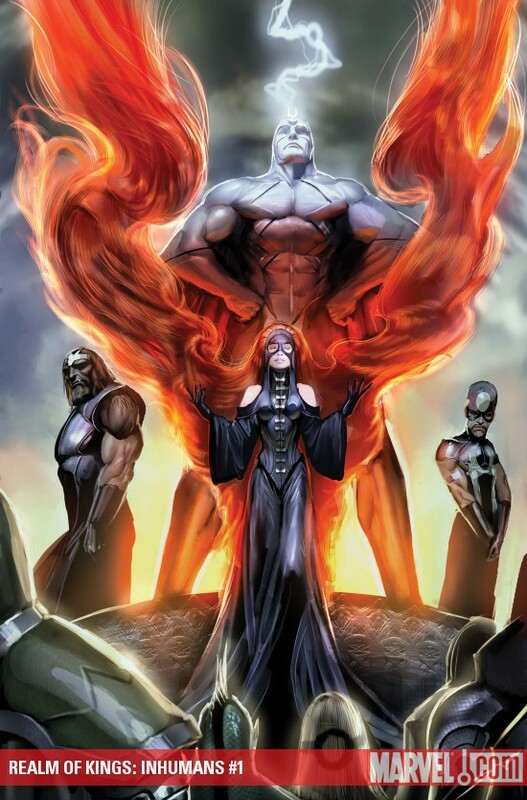 DnA have made the Inhumans compelling characters that are becoming more important and integral parts of the 616 Universe. I am certainly curious to see how the Inhumans have been dealing with the fallout of War of Kings and the “death” of the Black Bolt. In the end, the Marvel comic book that I am most looking forward to reading is Realm of Kings One-Shot. I enjoyed DnA’s War of Kings. Therefore, I have faith in DnA to build off of War of Kings and treat the reader to another excellently crafted story in Realm of Kings. The cosmic side of the 616 universe just keeps getting better and better. Which Marvel comic book am I least looking forward to reading? I have little to no interest in The Gauntlet story arc that kicks off in Amazing Spider-Man #612. At this point it appears to be a rather cheesy story. 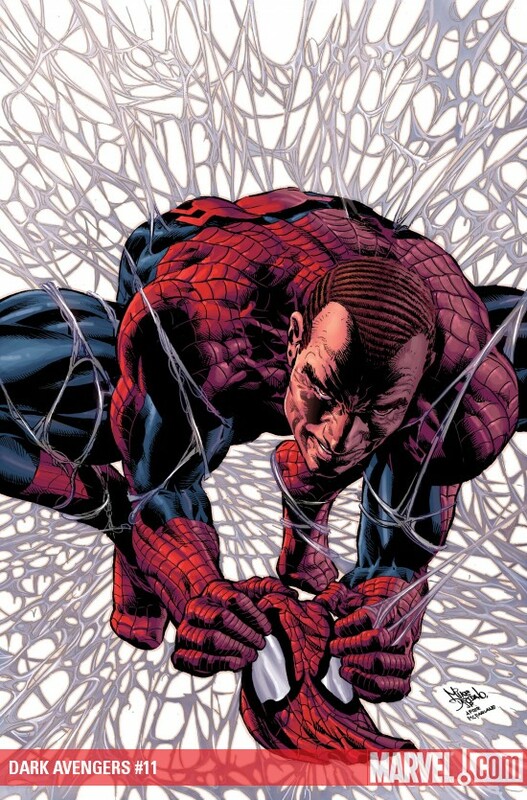 I do not expect much more than a contrived plotline cobbled together to allow Spider-Man to knock heads with a string of long-time Spidey villains in order to provide the reader with plenty of mindless action. Maybe the Spider-scribes will surprise me with The Gauntlet and crank out a compelling read. I am not betting on that to happen. 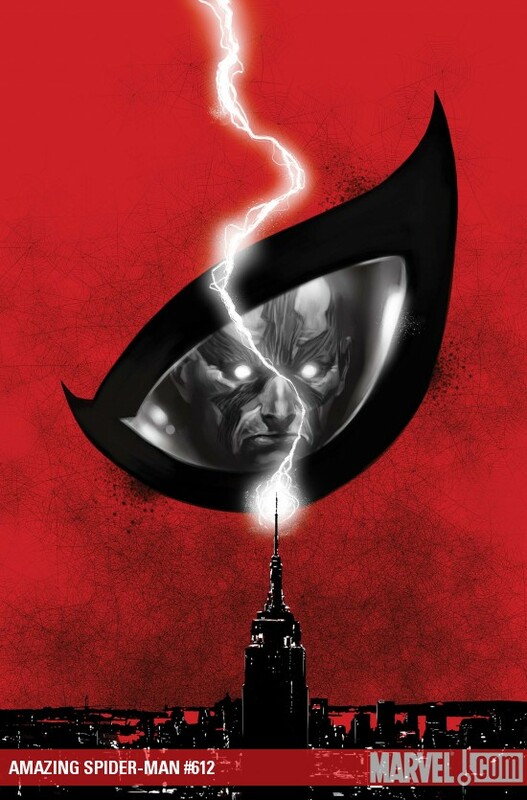 In the end, Dark Avengers #11 is the Marvel comic book that I am least looking forward to reading. 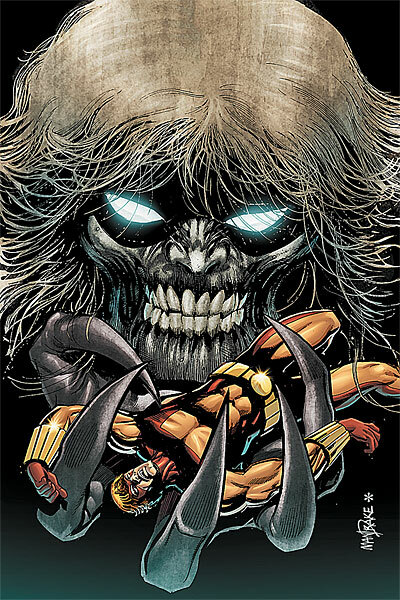 Dark Avengers was placed on probation after rapidly going downhill ever since the conclusion of the first story arc in Dark Avengers #4. This title suffers from a complete and total lack of an actual destination in mind. The plotting has been atrocious as the story simply meanders around with no apparent purpose in mind. Dark Avengers has become one of the poorest written titles that I have been getting. Therefore, Dark Avengers #11 is this title’s one chance to avoid the dreaded axe. Bendis needs to deliver one hell of a read with this issue in order to convince me not to drop this title immediately. Good news about THE GAUNTLET: according to the interview at Newsarama, this isn't a Loeb-type "Let's set up a mystery in the first issue and then have ten issues of guest stars"-type story. So whether or not you like what they cook up, it won't simply be an excuse to get the old baddies back together.